Jumped in the Dodge with a couple of mates, Mrs Melbourne Street Photography, and a camera yesterday and headed off to Ballarat for BIFB 2015. The BIFB is a regular on the photography calendar and is always worth a visit. So, is it worth the visit? For me, no. For you? Maybe. There was a broad range of styles and subject matter. 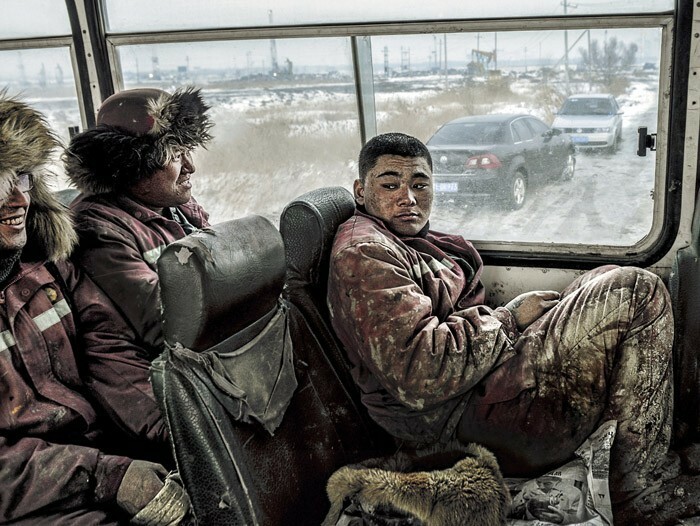 If you want to experience a breadth of images from photographers around the world, then get on the train and visit. Being primarily interested in Street Photography, particularly using film / analogue based capture, there wasn’t much that caught my eye. The Melbourne Silver Mine fringe exhibition was a highlight, with some excellent bits and pieces from my film obsessed friends. Adelaide Photographic Artists (another film group!) also had a small but good set of images. I prefer photographers who limit the use of post processing gigabytes and ram to achieve a result. Most of the heavy lifting in creating the image is best done at the instant the shutter opens and closes. If more than half the image is created at a studio desk, it crosses over into a multimedia / graphic design kind of space for me, rather than photography. A little bit of cropping and some basic colour tweaking is all I generally like. 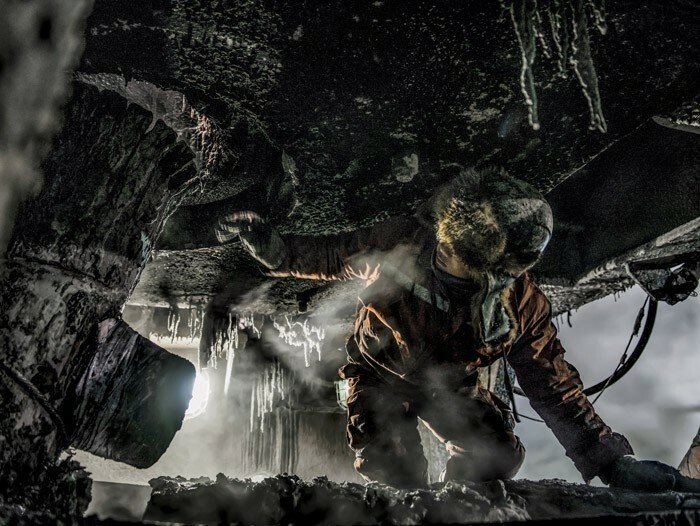 A perfect example to illustrate my “heavy lifting” definition was the core exhibition by Pang Xiang Liang from China – ‘The Drilling Workers’. Pang managed to get on site at a massive Chinese oil drilling site and has taken some stunning images. Places I will never see – or probably want to see with my own eyes! – and would have required a significant amount of courage to get into position for some of the shots. Except they appeared to have been HDR’d to the point of being ridiculous. It is almost as though Pang discovered the HDR button on his camera and has fallen in love with how “special” it makes the images look. The image is remarkable in terms of the situation. Getting in and unders some massive machinery, in the freezing conditions, to get the shot, is just wonderful. The HDR has stolen the soul of the image, in my opinion. It almost looks faked, like a CGI effect in a movie. The extra level of detail in tones that HDR gives is visually distracting. I find it disconnects me from the image. My eyes are unfamiliar with the level of detail and struggles to recognise it as a scene from real life as opposed to a painting or drawing. In the second image, there is both a sense of pathos and joy that most people choose to feel no matter how hard their personal situation may be. But front and square is the incredible amount of visual information that is not normally perceptible by the human eye. I find I spend too much time processing the detail than feeling and enjoying the image. Sorry if you are an HDR fan… There is a place for it, sometimes, to bring some minor detail to life. If it is easily perceptible, then ask if you really need it? It was one of the exhibitions which absolutely made sense to have a series of related images. Some of the other exhibitions that had a “theme” tended to the tedious… Repetitive images without any kind of build that I could discern. Maybe I am just a bit dumb when it comes to the “Yartz” or just grumpy? Beware – Ballarat seems to shut pretty early on a Saturday! Anyway, I got some shots as we trekked the BIFB trail… Here is some of what you might see if you visit Ballarat with your trusty camera.